Busting the myths around absinthe, the world's most mis-understood drink. Helping to restore the truth after 100 years of misinformation! In search of the Bloody Fairy 5 Votes Up! Coming soon .. ready-to-drink absinthe 2 Votes Up! Americans try Absinthe for the First Time on BuzzF... 1 Vote Up! Hemingway and Absinthe 3 Votes Up! Absinthe Cocktails Competition in UK 3 Votes Up! "A cocktail is much improved by the addition of tw... 0 Votes Up! Absinthe Days and Mardi Gras 1 Vote Up! Absinthe Robette re-visited 1 Vote Up! Absinthe Cocktails for Halloween 7 Votes Up! New Orleans, Tales of the Cocktail, Absinthe. And... 1 Vote Up! Absinthe for dinner? 2 Votes Up! Absinthe Antiques 2 Votes Up! 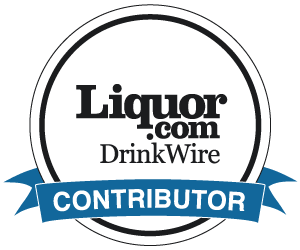 Pernod Absinthe: "The Original Recipe" 1 Vote Up! Back to the future 2 Votes Up!